A surprise by the roadside during my travels yesterday....I've never seen one of these kinds of chickens before. It's cute. 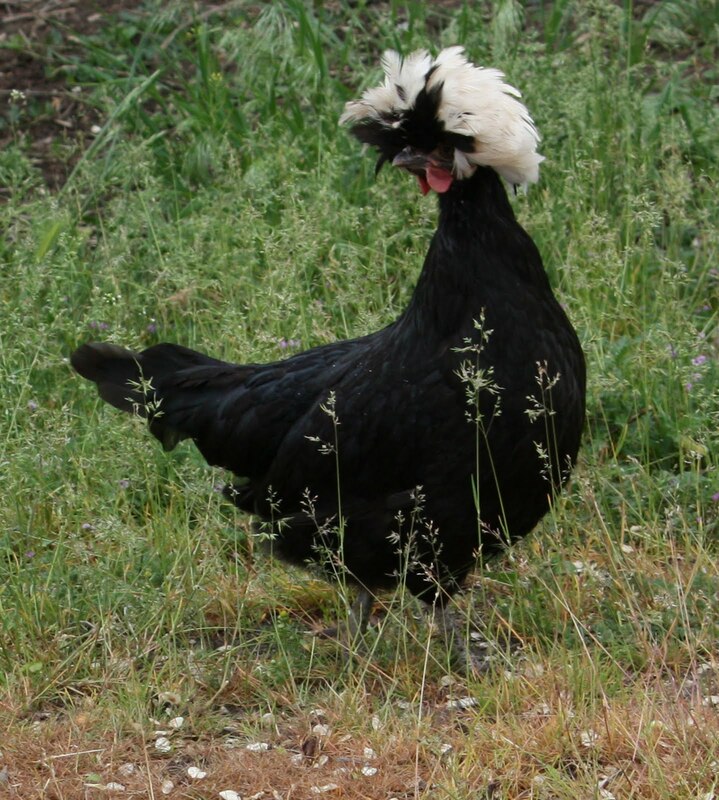 It looks like a polish rooster / chicken. Quite a few similiar pictures of this guys head feathers in the google image search. I have seen a chicken like this, one of my friends had one. It was a great, great, chicken!